Do You Need Help To Close SEO Leads? 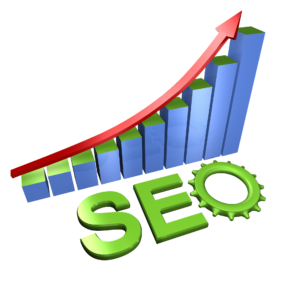 SEO leads are certainly in demand right now. Since these leads aren’t easy to come by, it is imperative to have to the right skills in place in order to effectively close sales and grow your business. In order to close, great communication skills have to be in place yet there are certain skills that can help catapult sales and expedite the process. It may sound obvious, but over talking and not focusing on the task at hand can lose you plenty of sales. Typically, the potential client wasn’t expecting your phone call and is in the middle of running their own company. That is why keeping it simple, following your script, and asking effective questions lead to better results in the long run. Identifying the need is extremely important in order to pinpoint where the value lies for the client. Dominating conversations and not listening to the client’s needs and concerns won’t help you close sales, but listening to what the client has to say gives you the opportunity to pivot your focus on what is best for that client. If the potential client is weary of joining an SEO firm, it is probably because they had an unpleasant experience in the past with one. That is why identifying hotspots throughout your call is important to find out the concerns and questions the client may have. How can you find out what the client needs if you don’t ask questions?. Asking relevant, effective questions finds out where the business owner is struggling and how you can fill the void to fix his/her problem. Many companies have difficulties when it comes to internet marketing and assuming that you can help them with their problem will start tilting you in the right direction and start bring you closer to close an seo lead. Speaking assumptively during your calls will psychologically give you an advantage on the phones. The client is on the phone with you because they are interested in what you offer. Using assumptive language and focusing on the task at hand without getting sidetracked leads to better results. It may be awkward asking for the sale the first couple of times, but once you gain the confidence and experience, asking for the sale will become second-nature to you and you’ll start seeing gradual results when you stay the course. Keeping an optimistic outlook will be key to consistently close leads. No one is ever going to close every single person they speak to but your chances of closing will deteriorate if you look at each call negatively. Take note of what worked in your calls and be sure to implement them gradually into your pitch. No one ever got anywhere by giving up but if you continue to be persistent with your potential clients, you’ll start seeing gradual results eventually leading towards consistent habit. Find out if leads are right for your business. The largest companies in the world use leads to generate new customers. Explore the possibilities for growth with Web Leads. How Are You Generating Web Design Leads?